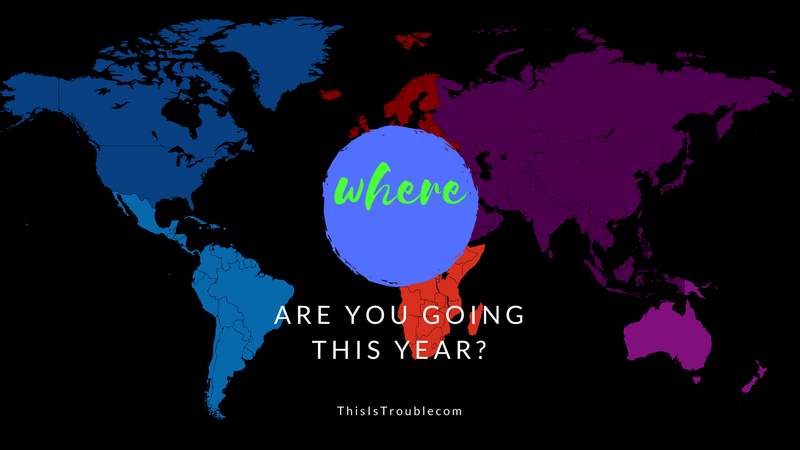 →Where Are You Going This Year? As March rapidly approaches, this is the time of the year that we’re all starting to plan our spring, summer, and fall travels for the year. With that being said, if this is your first trip abroad—CONGRATULATIONS. A word of warning: you may never want to go back. For those of us with more experience under our belts, perhaps you’re heading back to an old and familiar stomping ground—or maybe you’re looking to try something new. It’s funny how things work, because I’m really not writing about dating much these days. I simply don’t have a lot more to say at this point. The Harem Handbook was my Mount Everest, you could say. To see what I’m talking about, click here. However, I do recognize the…ahem…value of these posts. What I mean is that being able to go abroad and date foreign girls will inspire you to new heights. Men built civilizations for women in the past. When you go and date abroad, you’ll just be inspired. Inspired to build something that makes you money, inspired to travel more, and inspired to break free. When you’re ready to do that, click here. No matter your case, I’ve probably got something you’ll find helpful. With that being said, here is every post on This Is Trouble summarizing foreign girls. Some of them are on my niche sites. It’s a great start for planning your trip. Good luck! Thailand vs Philippines — Where Should Men Go? What are your travel plans for this year? Let me know where you’re going in the comments below. I’m always looking for more intel to share on the blog!